Lowdown: An art dealer and his mustache get themselves into a heist based adventure. Review: Frankly, I'd say Mortdecai can be summed up with a simple statement: some actors utilising a fairly silly plot in order to fool around on the screen. Fooling around on the screen is not necessarily bad, but it does make it hard to come up with the exceptionally good. Mortdecai certainly doesn't. Kicking off with a carbon copy of the opening scene to Indiana Jones and the Temple of Doom sets the expectations right. As we go along we are exposed to more and more famous actors joining this frivolous affair: Johnny Depp as Mortdecai, Paul Bettany as his incredibly loyl butler, Gwyneth Paltrow as his aristocratic wife, Ewan McGregor as a silly Her Majesty secret agent, Jeff Goldblum, and several more. 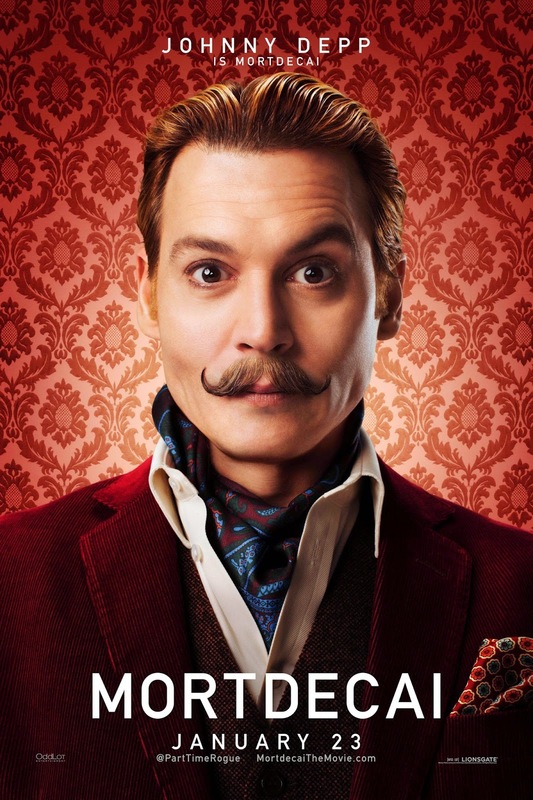 And, for reasons still eluding me, Mortdecai's mustache has a sort of an active role, too. Let me say this, though: as far as inanimate objects playing an active role in a movie are concerned, said mustache is no Millennium Falcon. Oh, the movie itself is all about a heist. Some painting is sought after by several parties, for debt repayment (Mortdecai), for terrorism, and for state pride. But clearly that's not the point. Overall: Very silly, somewhat funny, overall - meh. 2.5 out of 5 lame crabs.